Good evening everyone! 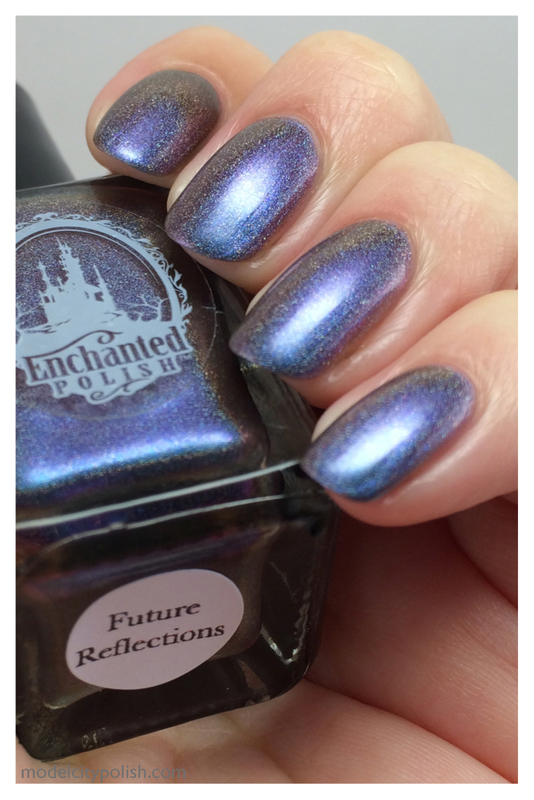 Last weekend I asked over on Facebook what you guys would like to see and both holographic and multi chrome were suggested so Enchanted’s Future Reflection was a proper middle ground. 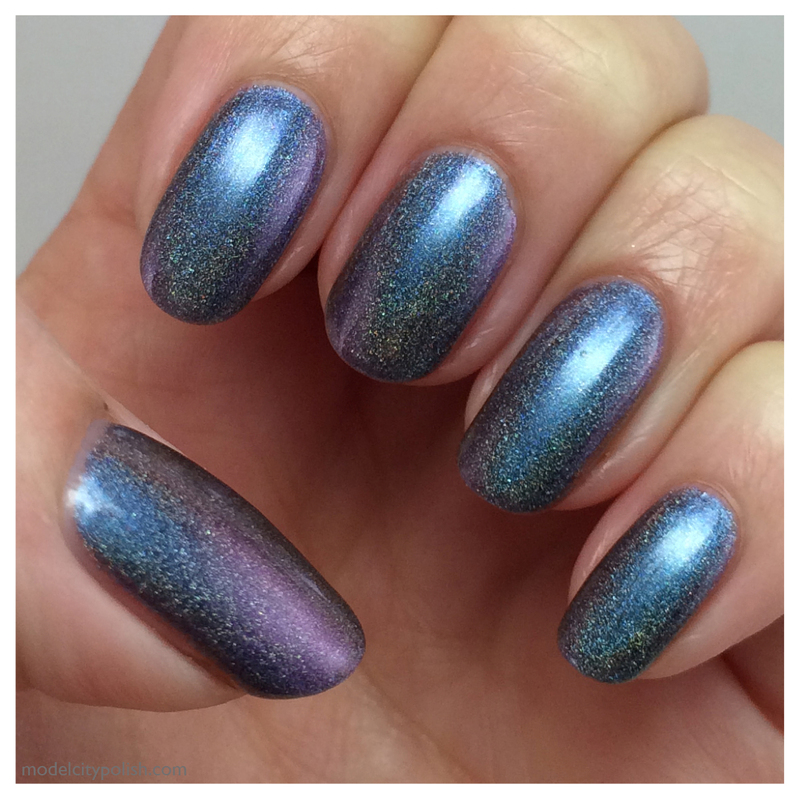 Future Reflections is a lovely holographic multi chrome blend with color shifts from blue, purple, pink, and a coppery red color. 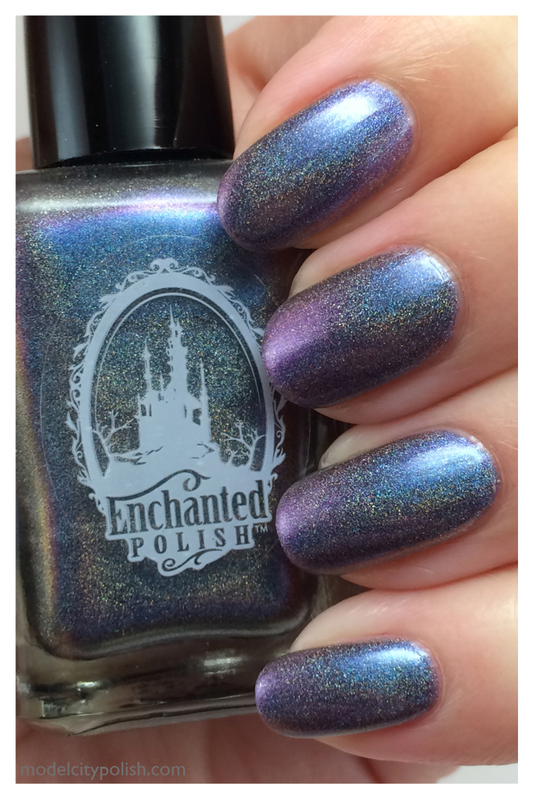 Just like with most Enchanted’s, the blend is flawless! 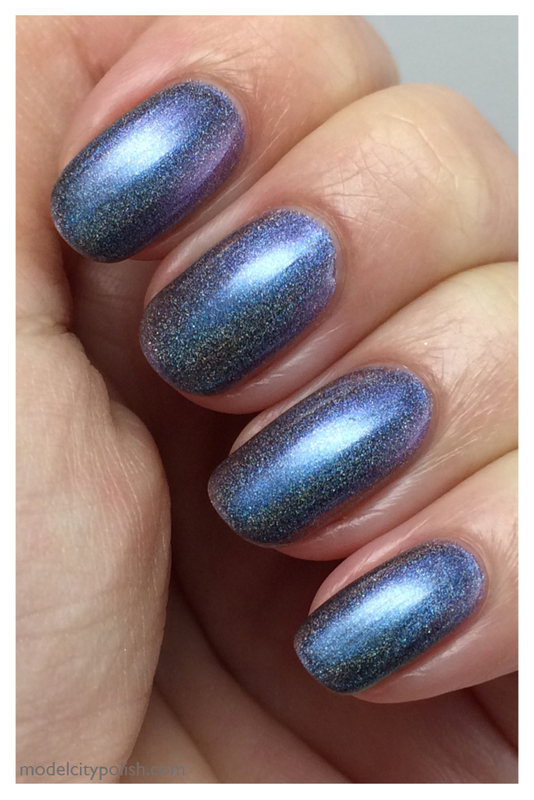 In my photos I am wearing two coats and a coat of HK Girl Fast Dry Topcoat. 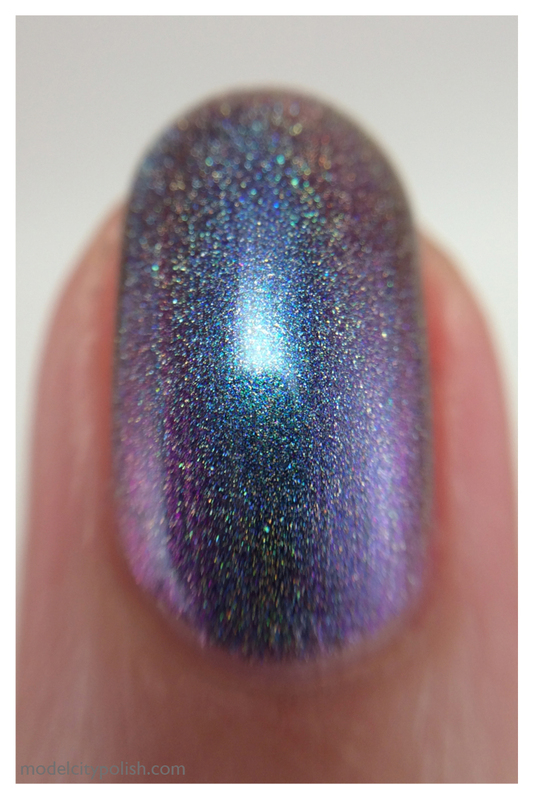 Now to show off the holo I used my phone to make a quick little video with the light on. 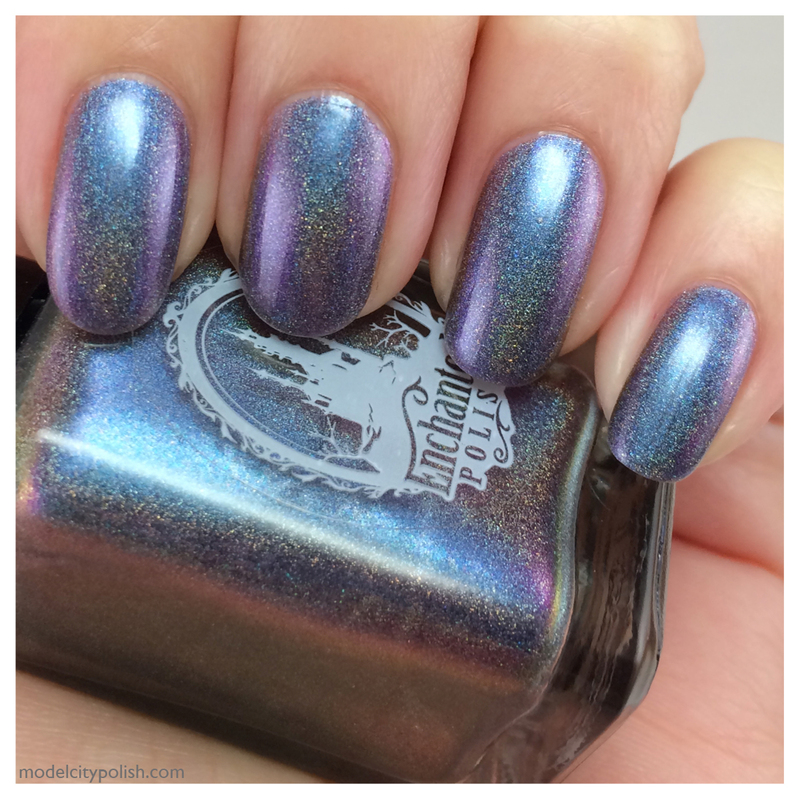 This stuff is intense under a bright light or sunshine!